Washi Tapes are driving people bananas. It’s been a woman’s secret stash, take note woman not girl. I know more women than girls who are hoarding these tapes. I have a few that I use primarily for work and I am limiting myself to that because I don’t want to get addicted. A lot of people my age are new homeowners. For the majority of us who can’t exactly splurge, this DIY decoration idea from Life After Breakfast is the perfect weekend activity for you. 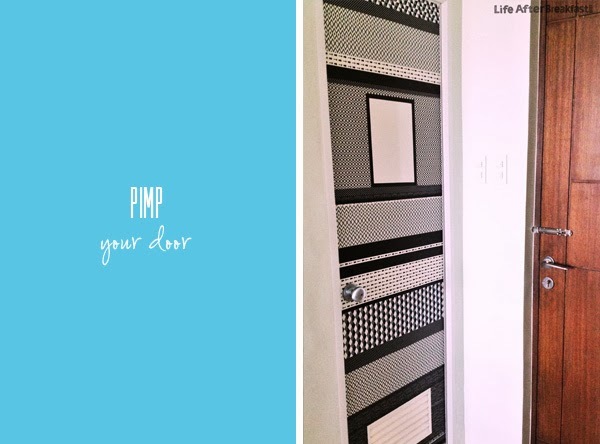 You get to pimp your door with ease since washi tapes are repositionable. Enjoy DIY-ing this weekend!